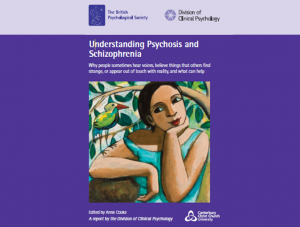 The end of November saw the launch of a new report by the, British Psychology Society (BPS) with the aim of challenging stereotypes of schizophrenia and psychosis. This is 14 years on from the publication of the first edition “Recent Advances in Understanding Mental Illness and Psychotic Experiences” which was a really useful overview emphasising the contribution of a psychological perspective to making sense of ‘serious mental illness’. In that time the National Institute for Health and Care Excellence (NICE) guidelines have introduced recommendations that everyone experiencing distressing psychosis be offered talking based treatments – real progress indeed even if not everyone receives them. It is really worth a read, although at 176 pages you might need to choose which sections to dive into first. Unsurprisingly, the emphasis in the report is exploring the role of psychology in understanding and responding to distress but the authors do this by stressing that their aim is to look at both the psychological and the social aspects of recovery. We need more recognition of social aspects of everyday living for managing mental health so I welcome this emphasis. At the beginning of the report the authors address the importance of language. “Throughout this report we have attempted to use terms which are as neutral as possible, and which do not imply that there is only one correct way of understanding these experiences”. Language, for me personally, is the first challenge when working in mental health attempting to write in a person centred, recovery focussed framework that is sensitive to how one describes people’s experiences of distress. Individuals choose their own language, but how does the author of a research report generalise? 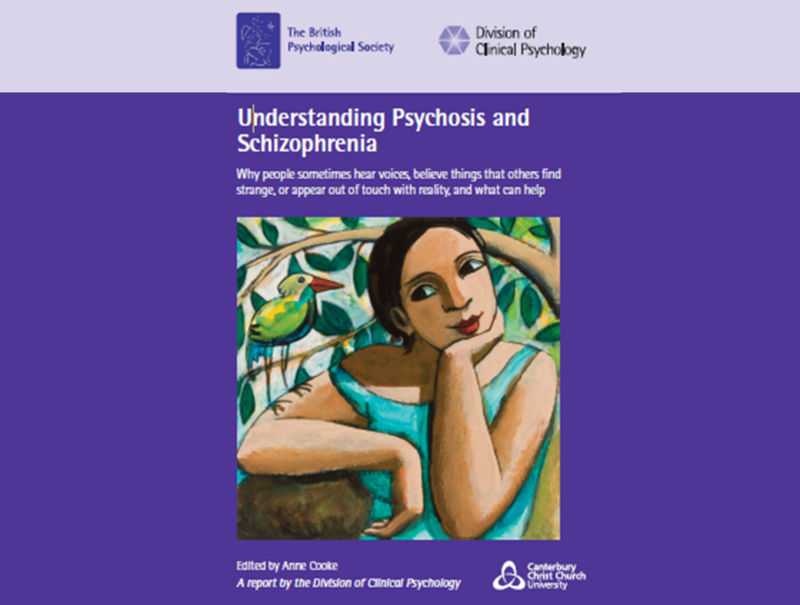 The full title of the report is: Understanding psychosis and schizophrenia – things that others find strange, or appear out of touch with reality, and what can help. I note with interest that the title of the new report is hedging its bets including a diagnostic label and non-judgemental descriptions. The report uses case studies from a wide variety of contributors to take the reader through a detailed landscape of lived experience expertise, research insights and clinical work. In conclusion, the report emphasises what I heard psychiatrists also talk about at a conference in London recently – that globally our actions must focus on prevention by taking measures to reduce abuse, deprivation and inequality. These are massive tasks, involving cross sector working well beyond health, but central to the goal of improving the mental health of everyone in communities across the world. Fundamental changes are required in how we plan, commission and organise mental health services. The starting point in services should be an acknowledgement that mental health is a contested area and there is no one framework to understand it – finding the framework that helps the individual in front of you understand and make sense of their experiences and manage their distress is the key. Practitioner’s roles need to shift from delivering treatment to using their professional skills gained through education, training and clinical experience to offer help and support so that individuals can better manage their problems. Service structures need to allow practitioners to offer flexible support – not a standardised “package of care”. At the McPin Foundation we are just about to get involved in a co-production service design process within a Clinical Commissioning Group (CCG) to support the development of an innovative new model of care for people with psychosis based in primary care. We hope it will deliver all of the above – watch this space! However, achieving this in practice will require lots of organisations and stakeholders applying pressure to “systems” and the creation of a driving wind of innovation because the default position is usual practice. The BPS report does not end on a pessimistic note. It’s up beat and inspiring focused upon prevention – safety, equality, non-discriminatory and oppressive practices, reducing harmful drug use and protecting our mental health. As with all reports it will generate debate and we note some criticisms of the report are already being voiced on social media, for example see the mental elf blog. You can access a full copy of the BPS report here. Reviewed by Vanessa Pinfold, Research Director.